The small historical island of Hydra is the most cosmopolitan of argosaronikos. Hydra is an island with a rich maritime tradition and played a significant role in the revolution of 1821, along with the island of spetses and psara. This will find taking a walk on the island as you will meet old mansions, museums, cannons and embrasures in the harbor. the most important feast day in Hydra is the Miaoulia Festival, which are events, devoted to the action of war Miaoulis and conducted each year, the last ten days of June, coinciding with the maritime week. The Hydra has several beaches with sand and pebbles or rocks. They cannot walk with donkeys or water inside. Common features to all the beaches are crystal clear, blue and crystal clear waters, the Hydroneta, the Groove, the Furnace, the Furnace, the Small Plates of Vlicho. 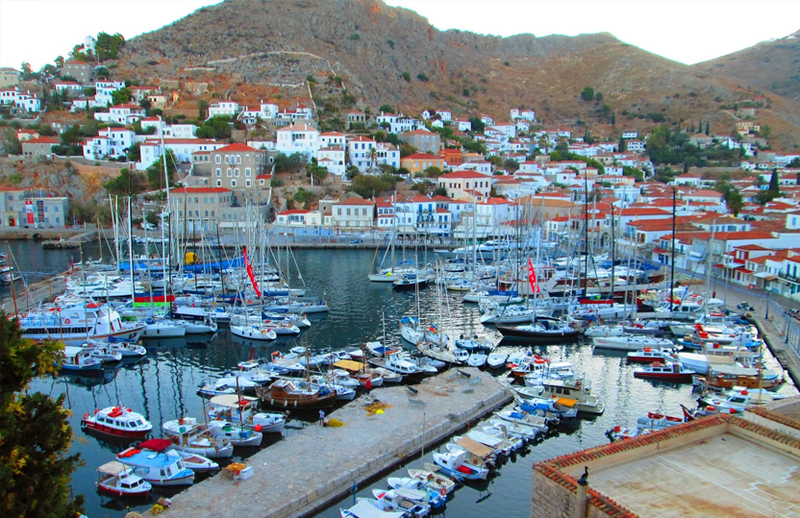 Hydra port is located in the city, which is protected by a framework of laws and rules and has been preserved and archaeological site of special natural beauty. You should know that in Hydra no cars but there are traditional donkeys and water taxis that make voyages from beach to beach. From the port of Hydra departing daily for year-round speedboats and catamarans of Hellenic Seaways to Piraeus and other islands of the Saronic Islands, Poros, Spetses and Aegina. For arrivals and departures information contact the port authority phone Idras 22980-52279. Air Champion24 .com offers ferries to and from Hydra on all services performed from any port of Greece. You can easily search and choose your ferry route that it serves, easily and instantly. The booking takes place in real time using your credit card or by making a booking with the help of the staff of our Office.